PubPeer won a near-complete victory in a Michigan court today. A judge has agreed to allow the site to protect the identities of all but one of its anonymous commenters, after a cancer researcher demanded the site release the names of those who have critiqued his papers. For one of the comments on the site, the judge has asked to hold another hearing on March 19. After the work of Fazlul Sarkar of Wayne State University appeared on the post-publication peer review site, he wasn’t happy about it. In October, he sued the site’s commenters, demanding that PubPeer release the names of his accusers. Sarkar, who has not been found to have committed research misconduct, claims he lost a lucrative job offer at the University of Mississippi as a result of the posts. 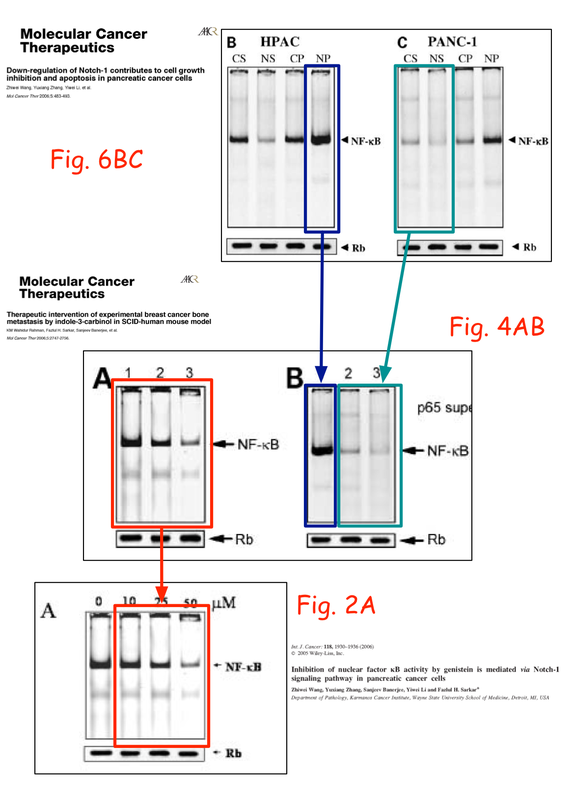 In December, PubPeer’s attorneys asked the judge to dismiss the motion; today, Hon. Sheila Ann Gibson of the Wayne County Circuit Court agreed to do so for all but one comment. We’re very pleased that the Court recognized the importance of free speech and anonymity to PubPeer and its mission. We look forward to continuing to fight for the right of PubPeer’s users to lawfully and anonymously discuss the scientific research of their peers. Abdo told us the judge wants to hear more about Sarkar’s case for unmasking the final commenter, whom the ACLU will argue should remain protected under the First Amendment because nothing said was defamatory. Has anybody reported this to the institute? Yes, in September and October 2013 the president of Wayne State University was informed several times. The Secretary to the Board of Governors, who is also Senior Executive Assistant to the President Wayne State University, wrote back on the 11th of November 2013: “Thank you for your e-mail, which I have forwarded to the appropriate individual within Wayne State University. As you are aware, scientific misconduct investigations are by their nature confidential, and Wayne would not be able to comment on whether an inquiry into your allegations is under way, or if so, what its status might be. We were disappointed in the outcome today. But we will keep pressing on and see what happens. Can someone versed in law please explain what exactly was problematic in that Unreg comment? I assume the person who contacted Wayne University with the allegations is to be made target of libel/defamation lawsuit by Sarkar, simply for bringing these allegations to the university’s attention, since this in turn may have made Sarkar a subject of misconduct investigation. By the same iron logic, reporting anything to any relevant institution which may make anyone look bad is defamation. So the PubPeer comment is not in itself defamatory, and is at best a pathway for obtaining evidence that Sarkar was defamed by an e-mail to WSU. A tenuous pathway at that, since the commenter does not claim to have been the person who e-mailed WSU. One might ask, why doesn’t Sarkar demand the information directly from WSU? (since they have a return e-address for the tip-off). The complaint alleges that the subject matter of the comment was covered by confidentiality rules governing misconduct investigations. The only sensible interpretation of that claim depends on a bunch of hypotheticals, but it could reach a matter of fact. I also don’t see it directly addressed in the motion to quash. Both of those could be reasons for it to have survived summary judgement. Perhaps, but in that case, it is Wayne State who has a case against the commenter. Sarkar would have a case against Wayne State if they failed to inform the commenter of the need for confidentiality. Wayne State could also be in some trouble with ORI if there is an ongoing investigation of Sarkar, since they ask universities not to publicize the results of investigations until their own are completed, with some exceptions like journal editors. The confidentiality of these things is problematic. Sometimes, confidentiality is used as a tradeoff to get a person to resign. Some other university may then get stuck with the fraudster, and the process starts again. ORI is also notoriously slow in completing investigations, and these scam artists can secure another contract from an unsuspecting place, and they become the next victim. 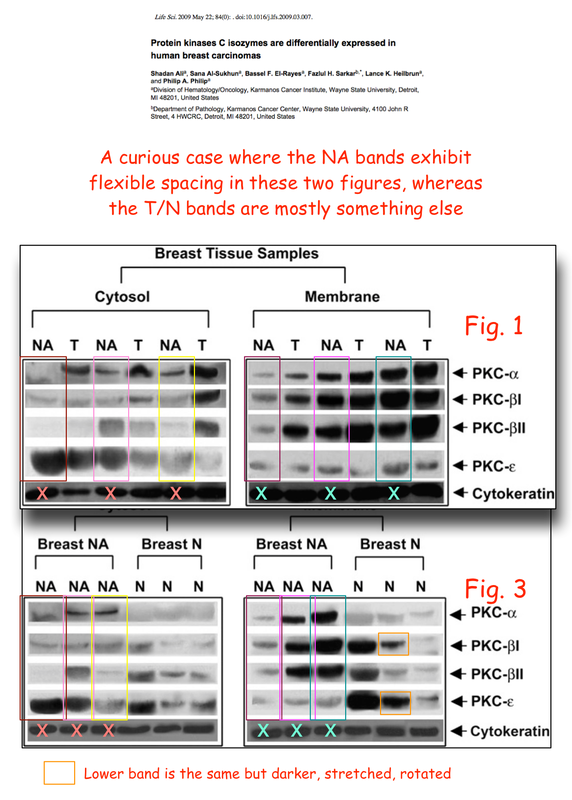 To celebrate this victory, everyone go on PubPeer and unmask some dodgy blots! There may be nothing problematic at all about the comment. It is important to be aware of the circumstances of the motion having been ruled on. It is a motion for summary judgment, which is lawyerese for a shortcut motion that says the other party has no case at all. Pubpeer has convinced the judge that Sarkar has no chance of succeeding on all of their claims, except for apparently those relating to the single comment, and the judge has thrown those claims out. Now, because the claims relating to one commenter still stand, that does not mean that the judge will order the identity of the commenter to be revealed, but merely that the judge wants to have the matter fully argued before deciding one way or the other. We’ll know more when the ruling is posted online. That’s what I thought the first link was going to be. It’s not going to be posted by the Third Judicial Circuit of Michigan, that’s for sure. Surely Wayne State would have started the investigation at Wayne State (if there was one)? 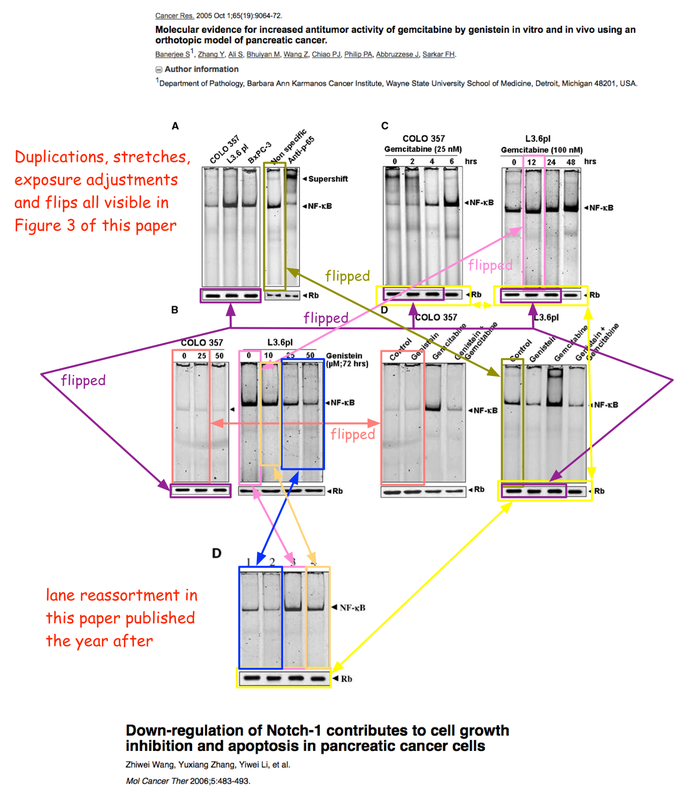 best case scenario: PubPeer will be forced to abandon “unreg”-option, which can be abused anyway. But also the number of misconduct reports will drop dramatically. worst case scenario: university and institutional servers will block the PubPeer website, just like they do with illegal file sharing platforms, to avoid investigations of “misuse”. One can easily imagine how will profit from this. Regarding universities trying to block PubPeer – TOR or a roll-your-own VPN are simple solutions. Regarding the IP address of unreg’ commenters being revealed, one would also hope that anyone choosing to go anonymous for the purpose of leaving a comment would also be wise enough to use TOR to mask their IP and render the comment untraceable. It would appear, as others have mentioned, that Sarkar’s motive here is not to sue the commenter for the actual words in the comment (which do not appear to be defamatory), but to sue for revealing that something has been reported. That seems like very rocky territory… I have sent several cases to ORI and to Universities, and I don’t recall ever being told of a gag order which prevents an accuser from stating in public “I reported it”. Now, if ORI or a University responds then it would seem obvious that the contents of the response (e.g. whether an investigation has been or will be launched) are confidential, but simply stating “I reported it” should not render one vulnerable to legal action. Even here, where the commenter reproduced the content of the response on PubPeer, the content is so benign that I fail to see how it rises to breach of privacy. The bar that Sarkar has to cross, is to prove that posting this comment caused additional damage. Did the commenter stating “I reported it” do any more damage than the actual reporting to authorities? Probably not. Instead, I would argue that anyone looking at the depth and complexity of the allegations would likely be shocked to hear that they had NOT been reported to the authorities. When reading about large cases involving multiple papers on PubPeer, it’s safe to assume that someone somewhere is forwarding this stuff to ORI and Universities. Thus, the commenter was simply confirming what many readers likely already suspected – this stuff has been handed over to the authorities. No new damage. The people Sarkar should be more worried about, are the multitudes reading PubPeer and aggregating the information and forwarding it to ORI and Universities, and not bothering to let fellow PubPeer readers know what they’re doing. I even know of people in authoritative positions (e.g. University RIOs) for whom PubPeer is now required reading as part of their daily job. Who’s to say the case wasn’t collated and reported to the authorities by multiple parties, only one of whom decided to make their report known? Sarkar is going to have a hard time suing someone for saying “I reported it”, if other people did the same thing but kept quiet. The report to the authorities is what he should be angry about, not the publicity surrounding its existence. As such, this seems like a rather thinly veiled attempt to unmask the person who made the report, with the long term play being go after them for the content of the report. Unmasking them for talking about the report’s existence is very shaky legal territory, but it’s just the first step in something bigger. Fully agree, Paul, this is exactly how I see this, especially after you provided such detailed insights. Here are my last two cents: Sarkar personally is not being discussed on PubPeer, this is not a social network of scientists. His papers and the data therein are being discussed, and since when do publications have privacy rights? I am also glad to hear that University RIOs are following PubPeer these days (apparently not at WSU though), there is hope for the future of science after all. Regarding the IP address of unreg’ commenters being revealed, one would also hope that anyone choosing to go anonymous for the purpose of leaving a comment would also be wise enough to use TOR to mask their IP and render the comment untraceable. IP addresses failed Prenda Law in rather a big way. Retaliation against whistle-blowers is a Federal offense when it comes to issues of research non-compliance and scientific misconduct, and even more-so when the whistle-blower turns out to be correct! My speculation is that the judge kept this one issue open and wants more information and comment in court and under oath, just to ask Sarkar why he wants to obtain the identity of this commenter. If I were Dr Sarkar, I’d tread very very lightly. That cracking sound is the thin ice he’s dancing on. He might also want to look at his attorney and question his supposed-expertise in whistle-blower law. You’re reading far too much into the Whistleblower Protection Act, which only applies to federal employees. That last remaining PubPeer comment still under consideration is not one that reports curious features of the data presented in figures in scientific publications: Instead it touches on procedural issues and confidentiality during investigation. We shall see if any limitations are imposed in this respect. Agarwal, Sarkar and Kumar together at last! I think Sarkar, Saad and all the other scientists who are quite happy to start suing the whistle-blowers, simply because they have the power and the money to do so, should set their personal agendas to the side for a second. At first, they should address questions, made in public, about their research work. They were paid excellent salaries for many years, held great positions and got good benefits no doubt for the research projects that led to the papers now being questioned. So, in my opinion, they have the responsibility, at first, to address these issues. If they have nothing to hide, then they can just defend their papers publicly. It’s really so simple. Not a nice aspect of science at the moment, a gut-wrenching process, no doubt, but one which is now part of the fabric of science publishing. I am always concerned when scientists need lawyers to defend their own mouths when it comes to a scientific paper. 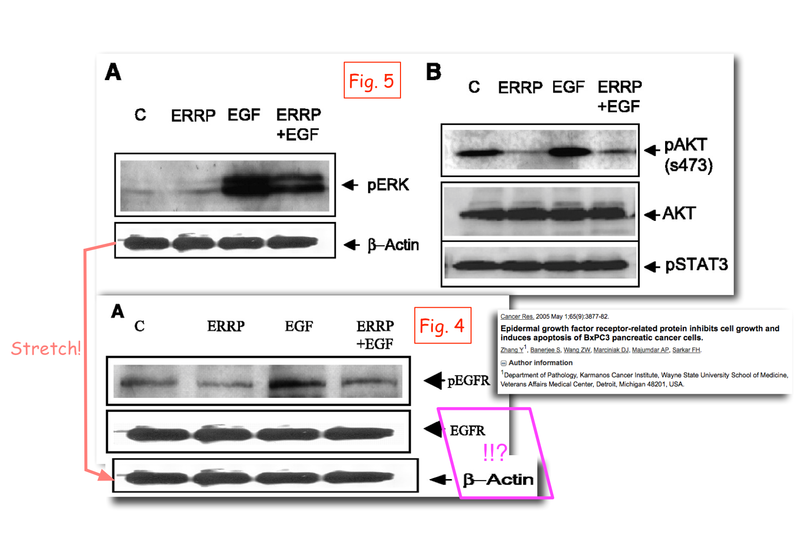 When a peer reviewer, during traditional peer review, asks “please provide the original gel so we can check this figure”, do these individuals call up their lawyers? Of course not. So, why should public questions about their gels, or any other aspect of their paper, that were clearly missed during the permeable peer review, be any different? If the lawyers had any scruples, they would advise their clients, for science integrity’s sake, to FIRST answer the science-related questions. An unusually high proportion of that list have featured here and/or at PubPeer, or at that ex-blog formerly known as sciencefraud.org. I now have an urgent desire to sign up for the AAISCR mentoring program for junior faculty. It is the one program that will teach me everything I ever need to know. Dr “two gees” Aggarwaal is a member of this esteemed group. My mistake. I was also interested in the mentoring program. Someone from PPR or RW should go to their annual meeting. Scrutineer, we have not heard from 11jigen in a while. We miss his/her/its perfectly critical analyses. I am not sure how Dr. Ganguly proposes to achieve this with this particular team. I hppe that someone has taken a few screen-shots of this very historical web-page. Another legitimate question would be why is it even necessary to have a society for US-based cancer researchers who originate from India. 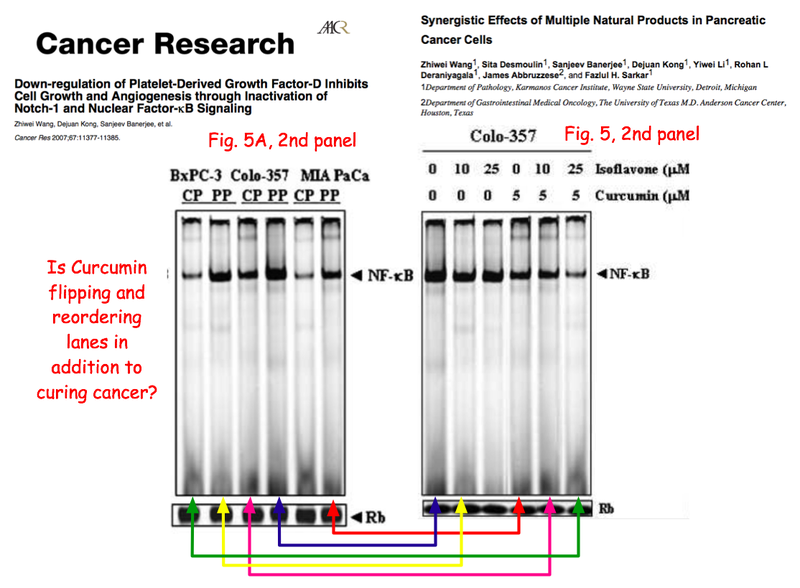 What are they getting out of this that they couldn’t get from ACS or AACR?